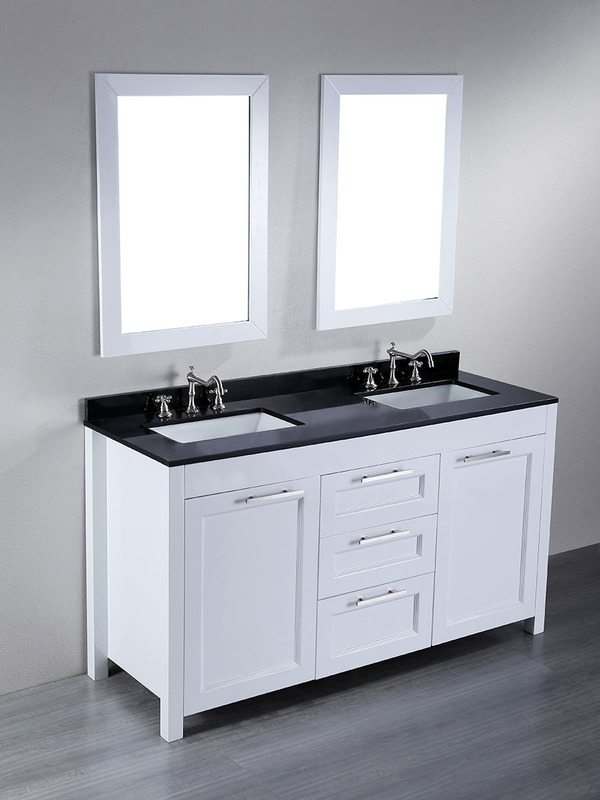 The 60" Valencia Double Sink Vanity makes an attractive addition to any bathroom, with its crisp White finish and its contrasting Black Granite top. 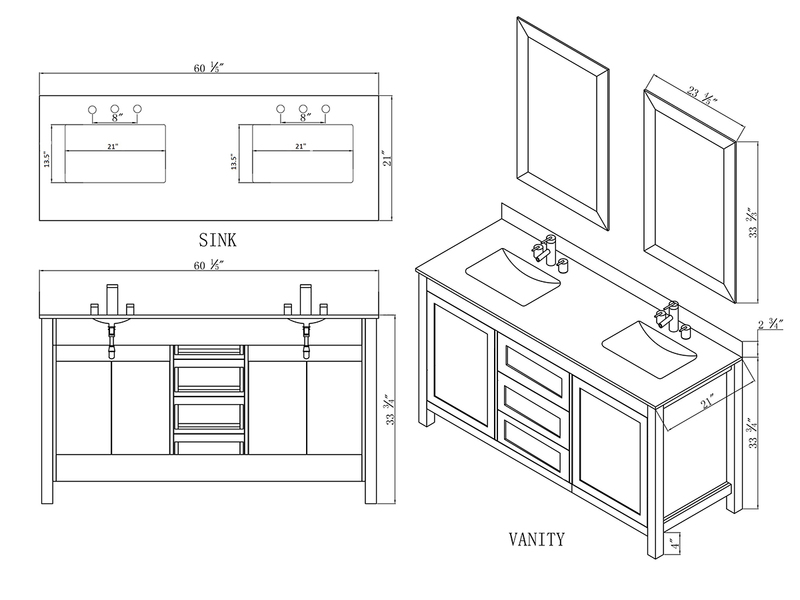 The cabinet is made from solid birch wood and features two tall single-door cabinets along with three large drawers, giving you all the space you'll need for your bathroom storage needs! Silver handles makes access to the storage spaces an easy motion, while soft-closing hinges and slides ensures that you'll never have to hear another slamming drawer again! The top is pre-drilled with three faucet holes and is equipped with two square-shaped ceramic undermount sinks. Two matching mirrors are also included with this beautiful vanity to complete its look.